"... strong magic... interesting plots... devious methods. What more could one ask for?" "... will keep you glued to the pages." Four Jokers and an Ace are shown. The Ace is set aside. One by one the four Jokers turn face down. But wait... this trick doesn't use four Jokers and one Ace. 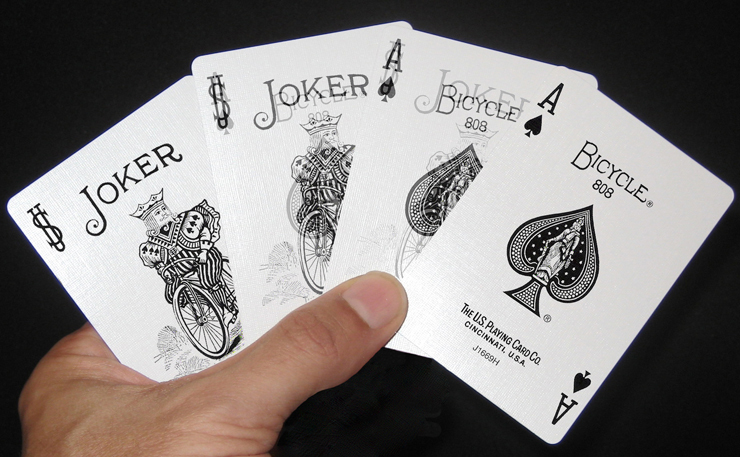 It uses four Aces and one Joker. The four cards are turned over to reveal that they are now the four Aces. The Ace that was set aside is turned over and it is now a Joker! A stunningly visual version of Dr. Daley's Trick. 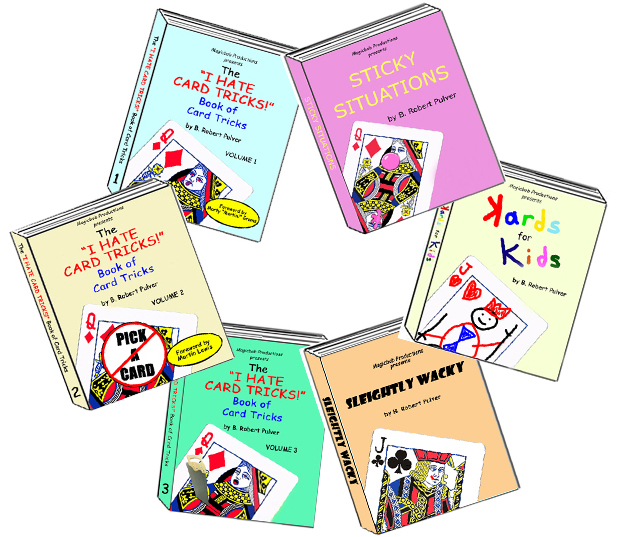 The four Aces are shown. The spectator holds the red Aces. You show that you have the black Aces. You make the cards in your hand switch places with the spectator's cards. But Daley used Aces and you do the trick with Queens. You show that the cards are now the four Queens! 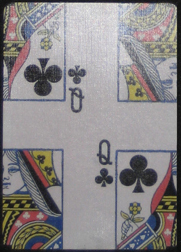 A Three of Spades is shown and set aside. 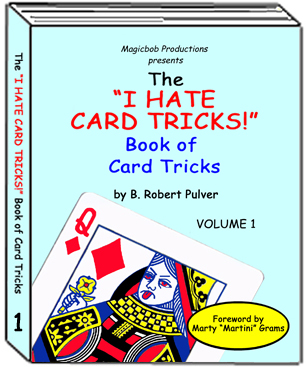 Five blank cards are shown. 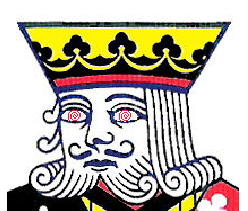 A Three of Spades is "printed" on one of them and dealt face down. The remaining cards are shown to still be blank. This is repeated for each of the cards until Three's have been printed on all five cards. 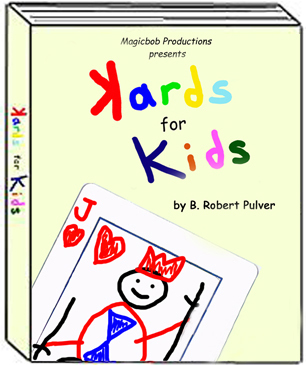 The original card is turned face up. It has transformed into a King of Hearts. The five "printed" cards are turned over to reveal that all of them are now matching Kings! 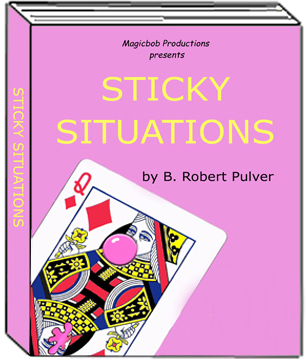 Includes an alternate ending in which the cards come out all confused like the image on the left (requires custom printed cards). I'm often accused of "not playing with a full deck." Actually it's true. Since only five cards are needed for a Poker hand, that's all I use. 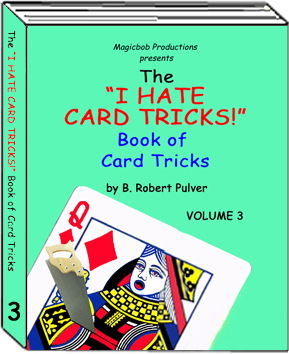 Five cards are shown. They are all Jokers. After all, the Jokers are wild, so they will always be the winning hand. The cards are immediately shown again. You are now holding a Royal Flush! The effect can be customized by printing your own cards with company logos, cartoon characters, or anything else you can dream up. Four red-backed Queens are shown and placed face-down on the table. 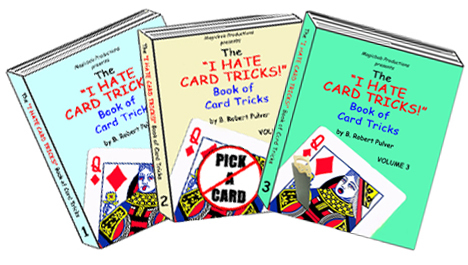 The four cards remaining in your hand are shown to be blue-backed Jokers. 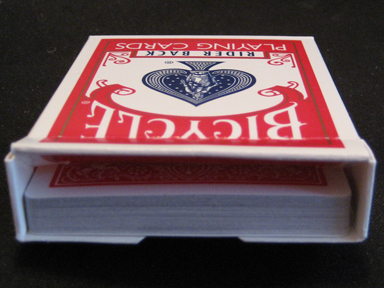 One at a time, each of the red-backed face-down cards replaces one of the blue-backed face-up Jokers in your hand. 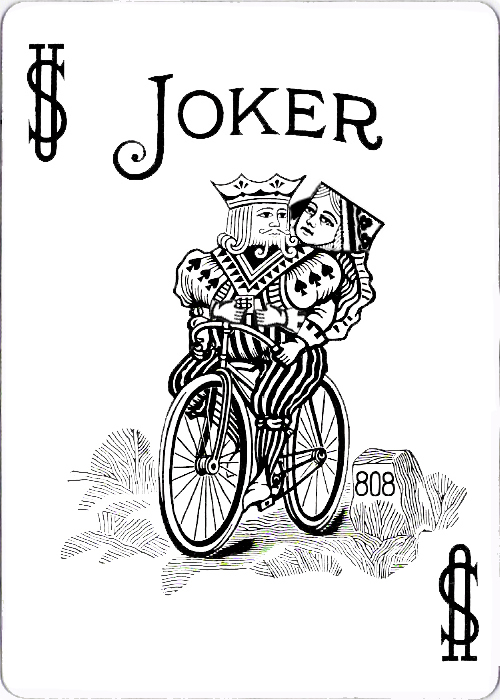 You can choose from multiple endings: The Jokers and Queens change into Aces and Jacks (or any cards you want for that matter), all the cards turn out to be blank, or (my personal favorite) the Queens vanish and then turn up riding on the back of the Jokers' bikes! Note: the "Biker Babe" ending requires custom printed cards. A red-backed deck is shuffled. The spectator selects a card (no force). The magician also selects a card… the Queen of Diamonds, pointing out that there is some blue showing on the face of this card. The spectator’s card is rubbed on the face of the Queen. The blue is “transferred” to the spectator’s card, which is shown to now have a blue back. The spectator’s card is rubbed on the face of the Queen again. The Queen now has a blue back. In fact, the entire deck has changed into blue backs. In this variation, the face of the Queen also changes blue! 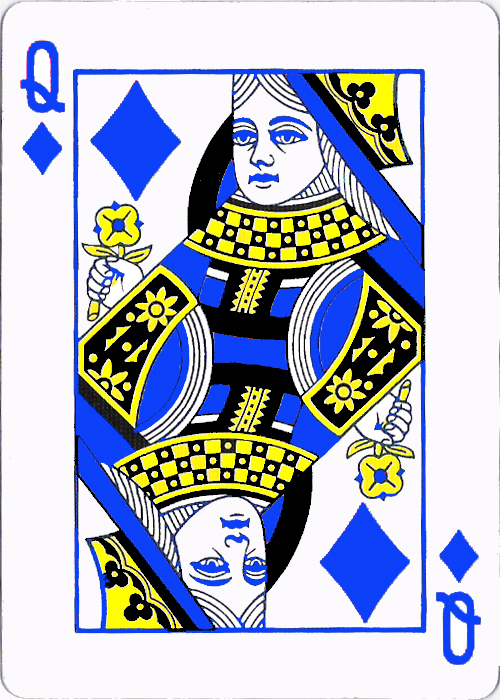 Four blue-backed Kings are shown front and back. 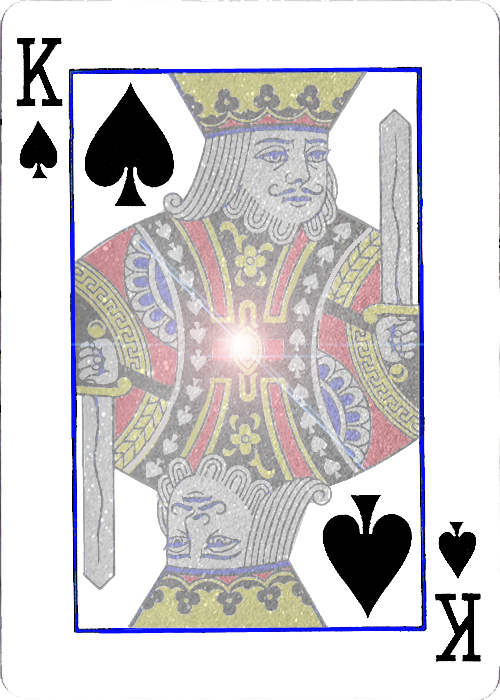 One of the Kings is removed from the packet and replaced with a red-backed Ace. This Ace is special because it can influence the other cards. The backs of the Kings visually transform from blue to red. The cards are turned over to reveal that the faces have also transformed into Aces. 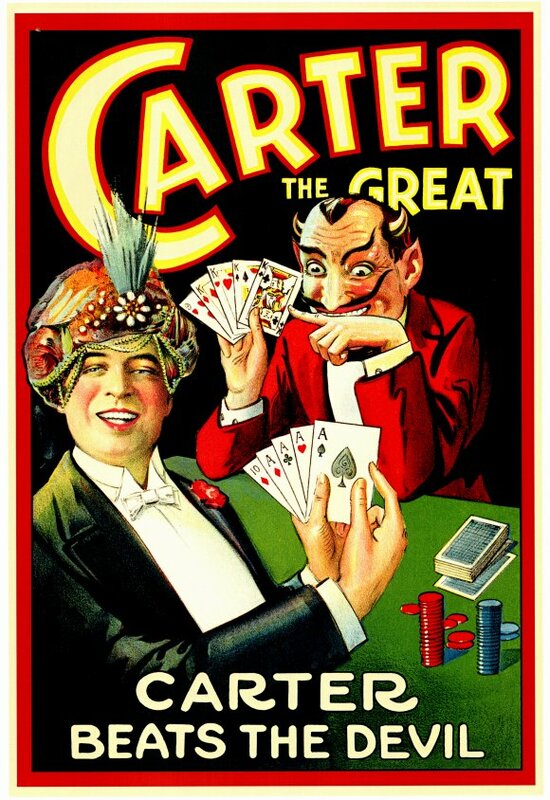 Recounting the story of Carter the Great, playing Poker against the Devil, the magician deals two hands of poker. The spectator (sitting in for the Devil) holds a Full House. The magician’s hand is lousy. The magician must resort to using magic to win. He “re-deals” the same five cards (never going near the deck). The cards are turned over to reveal that they have changed into a Royal Flush! 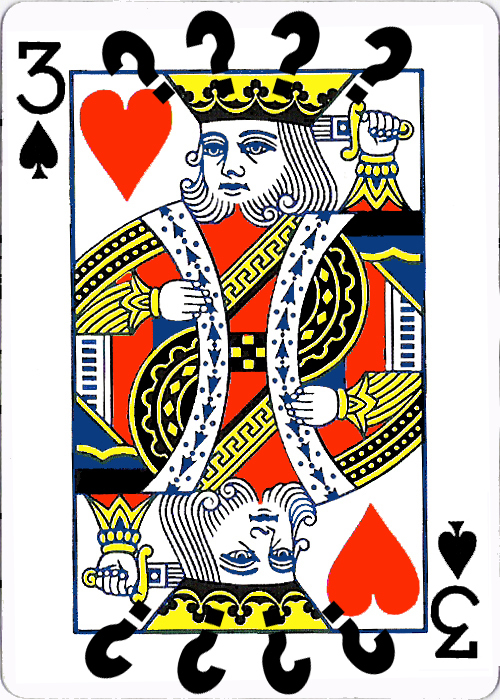 Four Jokers and a King are shown front and back. 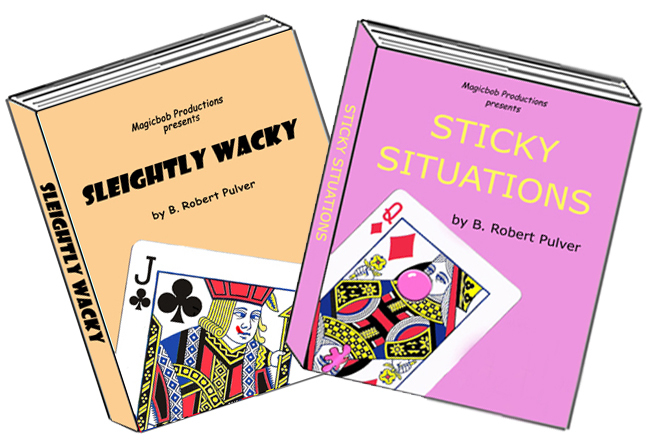 The King is sandwiched between two of the Jokers and the pile is placed on the table. 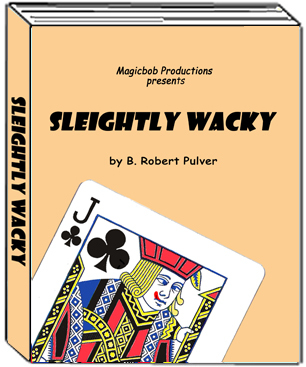 The remaining two Jokers are shown front and back, sandwiched together, and placed on the table well away from the first pile. The King is then “transported”… it dematerializes from between the first two Jokers and rematerializes sandwiched between the Jokers in the other pile. Includes a bonus handling in which the King is shown partially dematerialized before vanishing completely (requires a custom printed card). 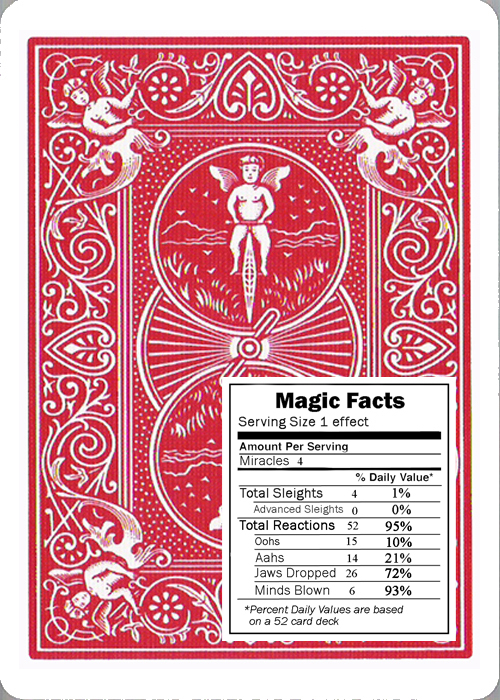 A packet of Jokers is displayed front and back. One by one, the faces of the cards turn blank. The Jokers are gone! Not only that, but you reveal that the backs have vanished as well. The cards are now completely blank on both sides! As a bonus, I've included my reverse "Mental Photography" closer. 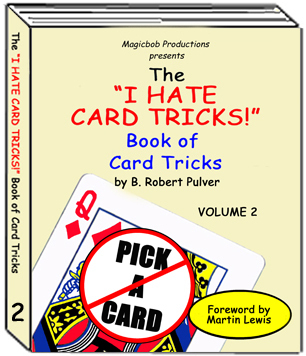 A spectator makes a free selection (no force) from a deck of cards. Her card is placed face-down on the table. First the face of the selected card vanishes, then the back. Finally, all the cards “disappear.” The entire deck is shown to be blank on both sides!